Samsung is slowly rolling out a new app meant to centralize your photo management. For those using storage with multiple cloud services, Samsung Cloud Together might be a good option for dealing with the mess. 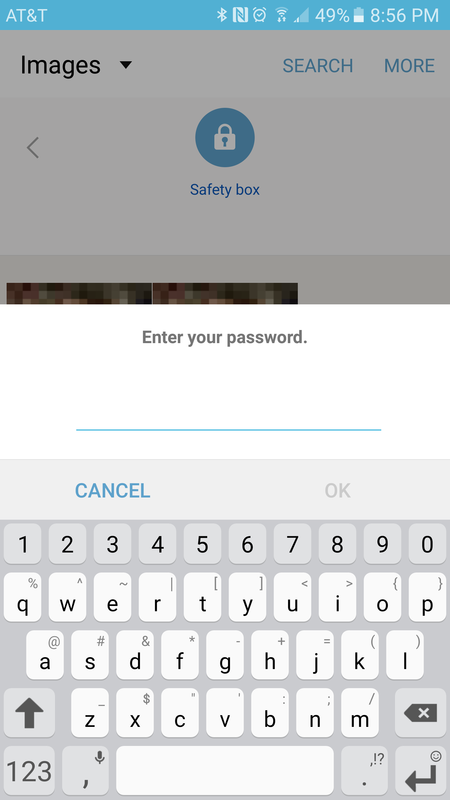 And even if you have a well-organized setup, the app also includes a security feature that allows you to password protect selected photos. The overall concept isn't too far-fetched: You probably have media scattered across more than one place and this app can facilitate easier browsing. In the hero image, you can see how the app allows you to browse multiple services simultaneously. You can pinch to zoom into a single service or out to look at two or three at once. Within the app you can move files between providers as if they were all just directories in the same file system, which is more or less the selling point. 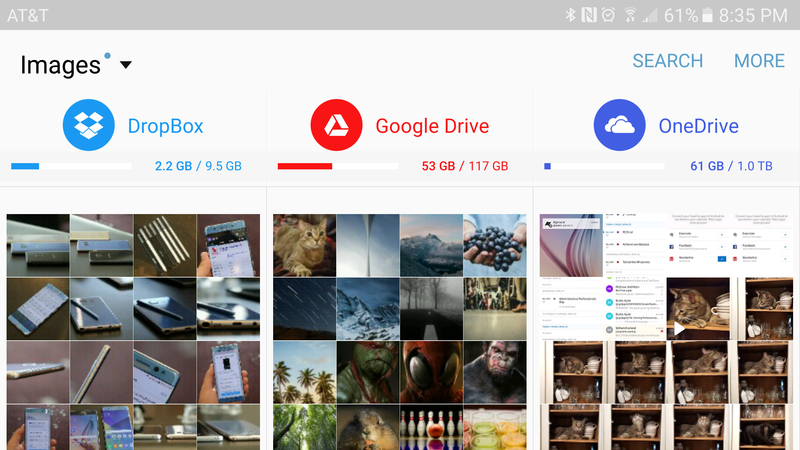 At minimum, it can provide a useful interface between your main cloud provider and your local storage, though Google Photos is probably a more logical option in that simple use case. The distinguishing feature that might interest people who don't feel like they really need help with general photo management is the image lock feature. 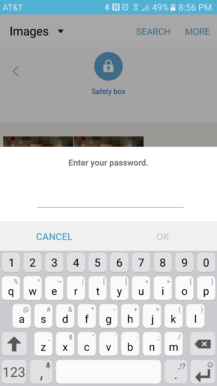 If you have a sensitive photo (we're not asking any questions), you can just tell the app to secure it and it will be scrambled in its home directory on your phone or cloud service. 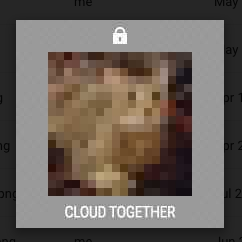 It can only be viewed within the Cloud Together app, where it's protected with a password. 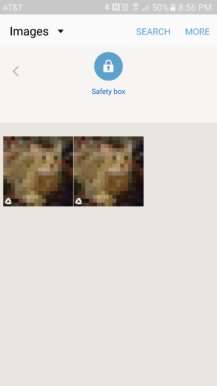 Hmm, I wonder what these (duplicated) photos could be. 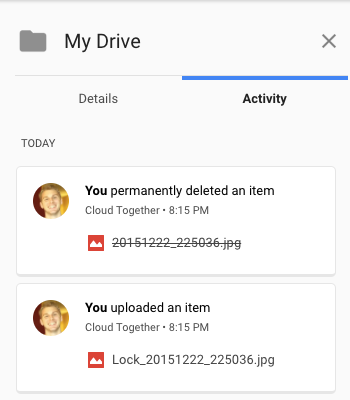 In Drive's activity log, you can see that Cloud Together deleted the original and replaced it. You can either choose to view the locked photos in Cloud Together or unlock them permanently making them viewable in their original locations. Cloud Together has normal file explorer capabilities as well which is nice for some of the same reasons as the photo management interface but certainly pales in comparison to something like Solid Explorer. The other unique feature offered by the app is a "Dashboard" view that is superficially similar to Google Now. It gives you alerts about new uploads if you're running out of storage and other related topics. I'm not convinced this will make the app worth using but time will tell. Before you grab the APK you should know a few things. It has yet to receive wide release so Samsung may have good reason for not putting it in your region or device's Galaxy Apps store. On my S6 it was very buggy. With that in mind don't trust it for securing your most sensitive photos; it would inadvertently expose the unblurred version of the locked image to me before redrawing the UI with it blurred. We also just don't know what kind of algorithm is being used and how trivial it might be for an intruder to decrypt the locked photo. Caveats aside you can give it a spin by downloading it at APK Mirror.